The Automatic Fail Over feature lets you create a second monitoring server which will automatically mirror your primary Central Monitoring Service. This Fail Over Slave server will sit quietly and listen for heart beats from the primary monitoring service. If a heart beat isn't received for 5 minutes, it will take over monitoring, alerting and reporting. 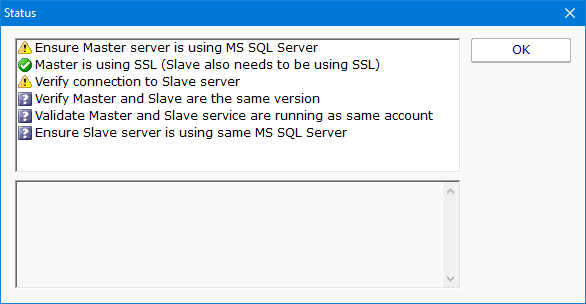 Because all configuration is 'owned' by the Central Monitoring Service, you can connect to the Fail Over Slave with the Console, but won't be able to change much. To use the Automatic Fail Over feature, install a second Central Monitoring Service on a second server, just like you installed the original. Don't worry about adding licenses or importing configuration, etc. The PA File Sight service on both servers need to be using the same MS SQL Server. This can be changed in Database Settings. PA File Sight on both servers should use the same service account. Start the Console on the Fail Over Slave and connect. Go to Settings and check or change the port if needed. 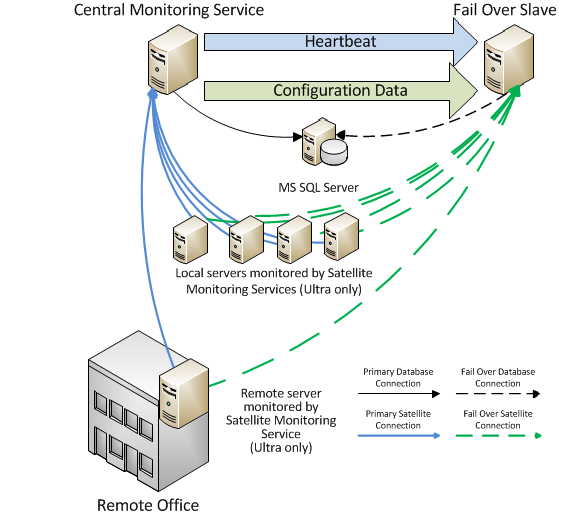 Next, get on the main Central Monitoring Service (the Master in the Master-Slave configuration). Start the Console and go to Advanced Services -> Failover Status -> Configure Fail Over. You will see the dialog below. Enter the Slave's host name and port. Press the Check Settings button. This will test the settings on both the Master and Slave. If any items are not green check boxes, select that item to get additional information. Once all items are green, press OK and the Master and Slave will begin synchronizing configuration information. The Fail Over Status report will show the Automatic Fail Over system's health and readiness, as well as recent communications between the Master and Slave. 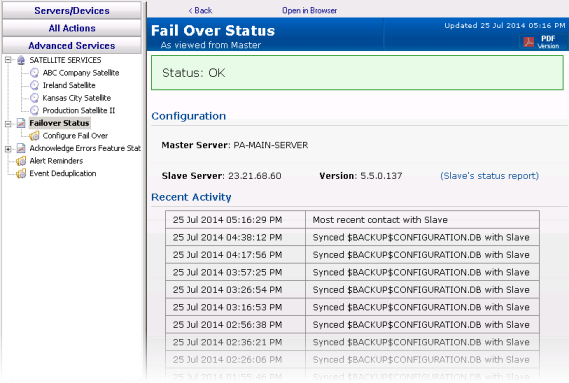 You can click the (Slave's status report) link to see the Slave's view of the fail over system's health. If you are using the Satellites with the Ultra product edition, add an additional host:port setting in the Satellite configuration so it can find the Fail Over Slave if the Master server is down.